Today I'll be sharing with you the September Boxycharm box. 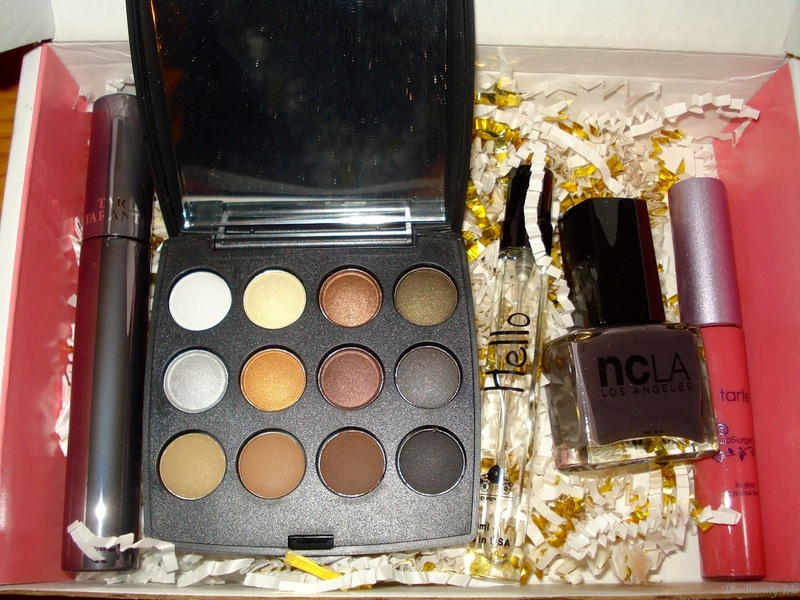 Boxycharm is a monthly beauty subscription box that features nail, hair, and skin products as well as cosmetics. 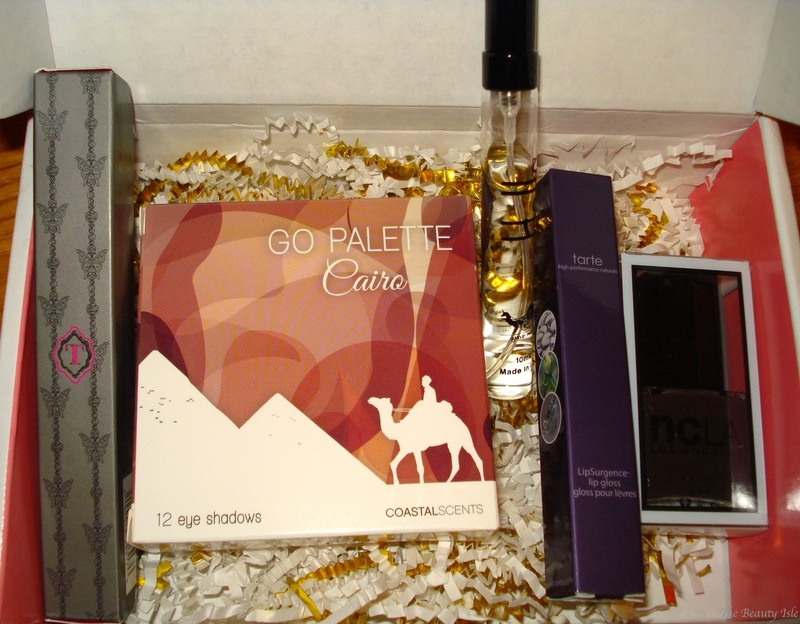 Each box includes high end and/or affordable brands that are full size or deluxe sample sizes. You can see my thoughts about my August Boxycharm box HERE. 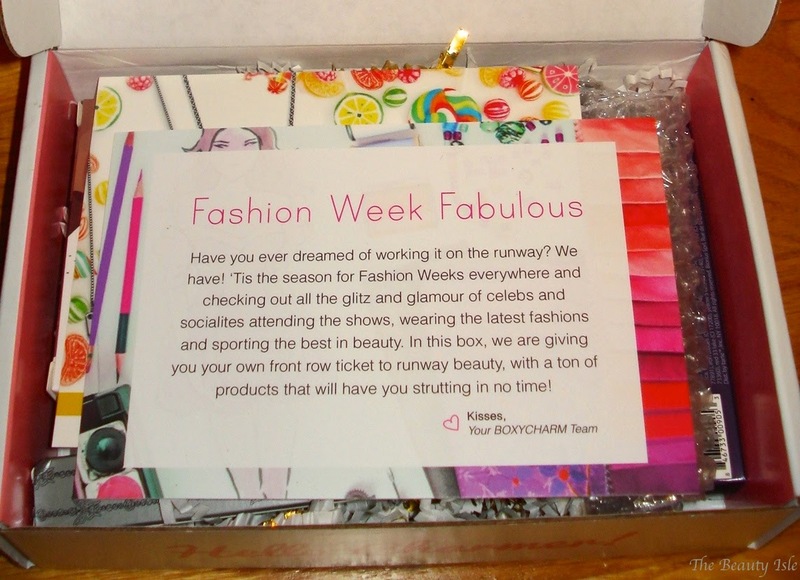 The theme of the September Boxycharm Box is Fashion Week. I received the shade Blushing Bride. I have the Tarte Power Pigment in this same shade and what's weird is that the Power Pigment is a pigmented mauve color while this gloss is actually clear on me. It basically just makes my lips super shiny. I will say also say that it doesn't smell great and it's really sticky. I still like it though and look forward to wearing it as a lipstick topper. I received the Cairo palette and all the shadows are neutrals. 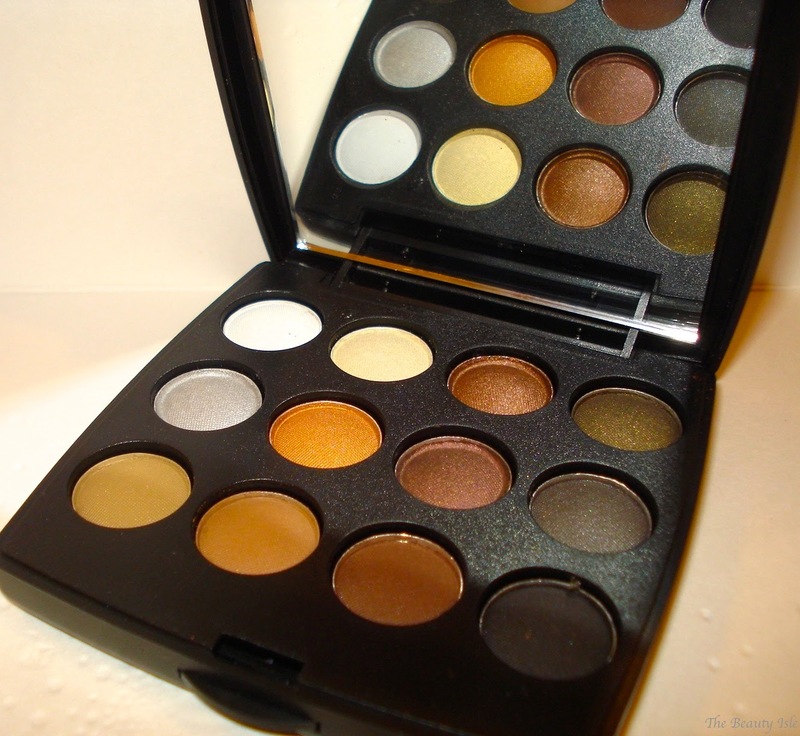 This is a great palette with 12 colors. The shadows feel really soft when swatched but I haven't tried using them on my eyes yet. 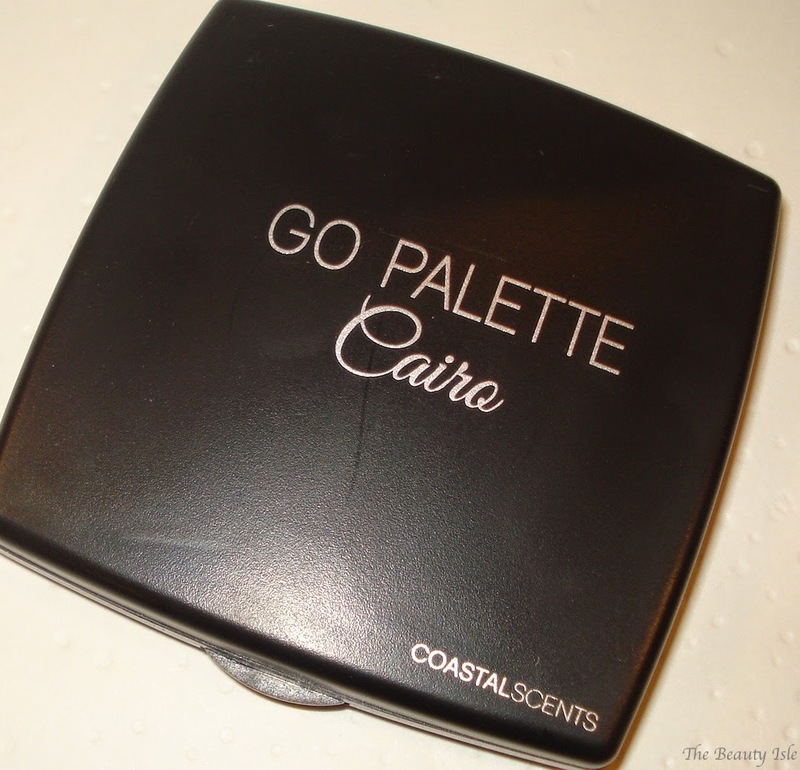 I will most likely do a full review on this palette. This is a dark gray shade called Model Behavior. It will be perfect for the fall. This is a limited edition mascara that it supposed to thicken and lengthen. It has a large natural bristle brush. I've only tried it once and thought it was just ok, I'll have to keep trying it. But look at that packaging! I love Tarino Tarantino packaging, it's so heavy duty and the gun metal color is so fancy! This perfume smells really nice and sweet. It did leak a little in the box, which is why it isn't totally full. Each Boxycharm Box costs $21, shipping is free, and you can cancel your subscription at any time. As you can see, I received 5 full size items and the retail value of this box is $96! That's greater than 4X the cost of the box! This is my second Boxycharm Box and so far I totally recommend it! This beauty subscription service is more focused on makeup than the other beauty boxes I've seen. Not to mention it's the only one with so many full size products in each box!